For the last two weeks, I’ve been lucky to get 10 feet of visibility off of Palos Verdes. 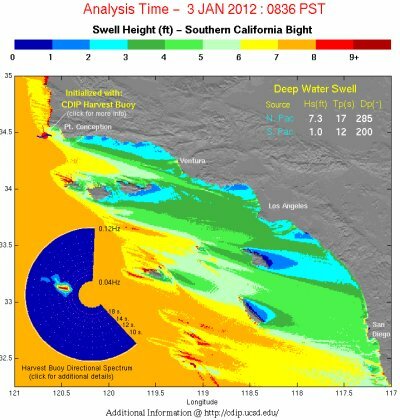 Now, the California coast is being pounded by nine foot waves, most likely pushing the visibility down to nothing. It’s so they can escape the pounding surf. EXPOSED WEST FACING BEACHES OF VENTURA COUNTY. MINOR FLOODING OF LOW LYING AREAS NEAR THE TIMES OF HIGH TIDE.